Completed, ready to use. Amazing quality. 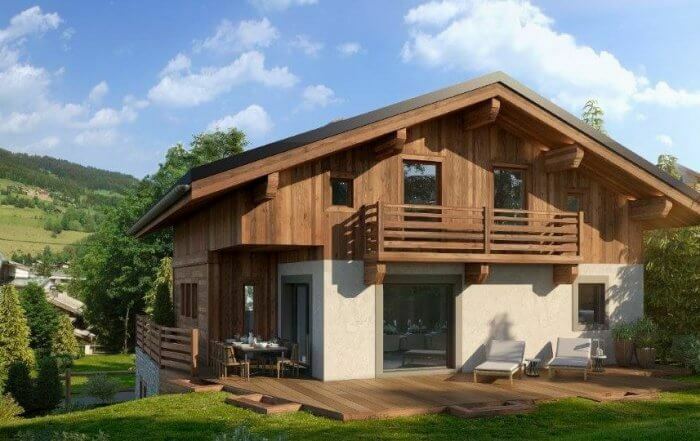 Located on the Princesse piste of Megeve, Chalet Satine is located at the bottom of the Princesse chairlift in the highly sought after ‘Demi Quartier’ area of Megeve, by the resorts most sought after developer. At the foot of the Princesse slopes, this brand new and recently completed ski-in ski-out four bedroom chalet is one of two of the most exciting properties to become available in this part of Megeve for many years. Blending beautiful traditional materials with a contemporary feel, Chalet Satine is a distinctive and high specification ski home. The use of natural sunlight is a design feature across the interior and exterior spaces of both chalets. Large glass panels and extensive glazing combine with skylights and large outdoor terraces to exploit both the amazing views and natural light. At the foot of the Princesse slopes, Chalet Satine is a new and recently completed ski-in ski-out four bedroom chalet (past of a 2-chalet development) one of the most exciting properties to become available in this part of Megeve for many years. Blending beautiful traditional materials with a contemporary feel, Chalet Satine in Megeve is a distinctive and high specification ski home. The use of natural sunlight is a design feature across the interior and exterior spaces of the chalet. Large glass panels and extensive glazing combine with skylights and large outdoor terraces to exploit both the amazing views and the natural light. Offering four bedrooms across three levels, Chalet Satine offers size of 163 sqm living surface + 21 m2 for ski room and garage. Chalet Satine is fully equipped-furnished and has interior features like vaulted ceilings that give great height and space to the living areas, something that older ski chalets often lack. Traditional elements like exposed wooden beams and natural wooden walls combine with modern touches like suspended steel wood burning stoves to create harmonious living and entertaining spaces. Together these create an interior finish which meets the growing demands of the international rental clients, should the owner wish to let chalet Satine to generate income (approx. 100,000 euros a year is tax-free on a chalet of this price, contact us for more info regarding property amortisement in France). “New-build properties of this caliber are rare in this part of Megève and offering ski-in ski-out makes this chalet unique. Megève’s ski area boasts 300 kilometres of marked trails. These are served by 81 integrated lifts (and no t-bars) offering extensive terrain for skiers and snowboarders of all levels. Since opening in 1913, the resort has played its part in the development of the sport of skiing and regularly hosts World Cup races. Two snow parks and a half-pipe are available for snowboarding, and the resort is served by a modern, high-speed lift system that ensures a quick ride to the top. With an average of 200cm of snow falling every year, the trails are well covered and this is supported by more than 175 snow cannons. The wider ski area is called the ‘Evasion Mont Blanc’s domain which opens up some 140km of additional pistes to those in Megève. The Mont Blanc Unlimited Ski Pass unites the five ski areas in the Chamonix valley, with unlimited access to the Grands Montets, plus one day in Courmayeur.